i have been studying for my GMAT for about a month and a half. I studied all five manhattan books for quant and the free trial of economist course. I focused mostly on quant, but i do not see improvement, despite my efforts. In the two tests i made i was on 62% and 66%, scores that i had also in the second week of preparation. I feel like i know the concepts and i think to have higher potential. Maybe i struggle putting it all togheter or move from a topic to another quickly. Do you think a course could help me? if yes, which one? i can study for another month almost full time. Or maybe it is just a matter of doing more practice? I think you need to practice more, each topic, one-by-one and untimed. Jumping in too early to take tests and then start forming self-perceptions is detrimental sometimes to the confidence and derails you from the concentrated effort required. Manhattan books are also basic in nature. 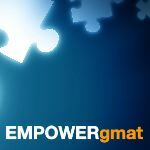 They'll help you build basics but you definitely need to supplement it with more material- GMAT club tests are a great resource. You can utilize them for more practice. Do some more practice for weak topics and you will be sailing then in the timed tests. 1) How have you scored on each of your CATs (including the Quant and Verbal Scaled Scores)? 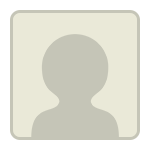 I will folllow your tips. Do you think is a good strategy to practice on each topic, at 700 question level, until i can reach 90%? And for verbal, in particular sentence correction, is it better egmat or manhattan book? Thank you for your help. I will try to be the more accurate i can answering your questions. Thank you again, i hope of being enought accurate. Given your timeframe and recent practice CAT scores, you could potentially hit your score goal by the end of September (although you will have to be really 'efficient' with your studies). By extension, you would likely find it beneficial to invest in a GMAT Course of some type (either Guided Self-Study or instructor-led). I think a better way would be to practice each topic at 500-600-700 i.e. in linear fashion and target for 70-75% accuracy. About 60-70% topics will be like where to go from 500 to 700, you would hardly take any time but more difficult topics like Probability, Geometry etc., you might need to have some patience before you start seeing some results. 90% accuracy is just too high! Aim for around 70% in all topics, then start taking mocks and analyse to see a repeatable pattern for a particular topic, and then revise it again. For SC, both resources are good. If egmat approach is little better not because of the content but as these are pre-recorded online videos, it becomes much more intuitive and easier to get involved rather than just reading from a book where you would have to push yourself, especially if you are not really confident about the subject. Since your last FULL CAT was over 2 weeks ago, I suggest that you take a new CAT sometime soon and take it in a realistic fashion (take the FULL CAT - with the Essay and IR sections, take it away from your home, at the same time of day as when you'll take the Official GMAT, etc.). Once you have that score, you should report back here and we can discuss how best to proceed.